Data never sleeps. 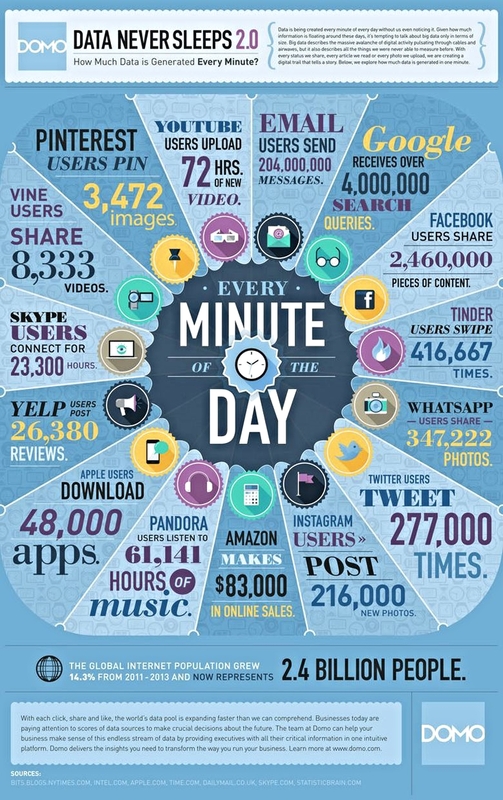 Every minute massive amounts of it are being generated from every phone, website and application across the Internet. 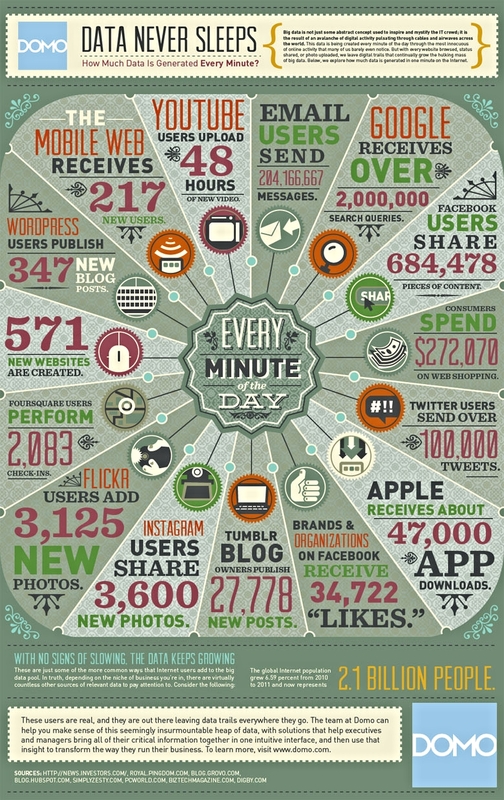 Just how much data is being created and where does it come from? There’s no doubt that the increase in the Internet population has played a part in data’s tremendous growth. However, there’s something bigger at play. New technologies continue to emerge that allow people to create and share information in ways never before possible. These additional forms of sharing are delivering a sense of connectedness, adding new value to people’s lives. With all our data creation—clicks, likes, tweets, photos, blog posts, online transactions—our digital data tells a compelling story about who we are and what we do. For people and business alike, the key to making these digital actions worthwhile is to ensure they and the data they create continue to improve our lives.